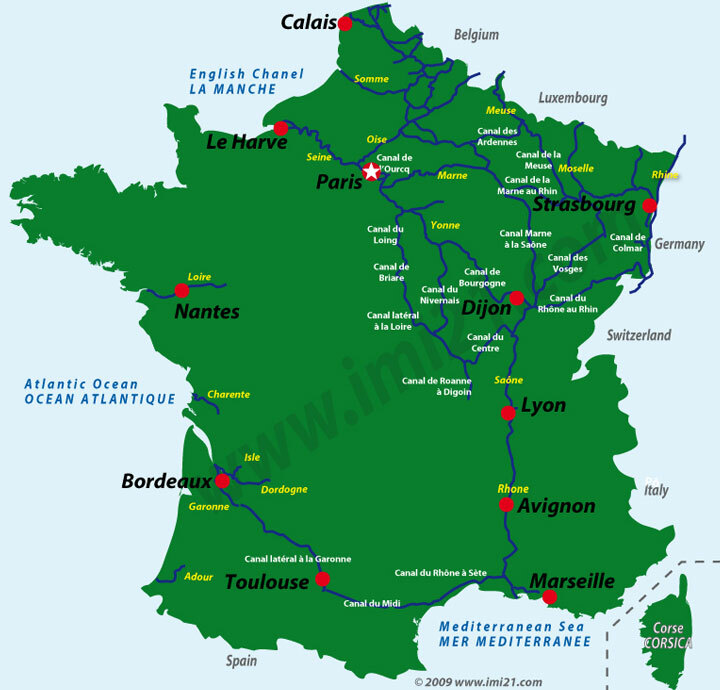 The waterway networks allow barges and boats to cruise from the English chanel, countries to the north and north east of France to cruise down to the Mediterranean sea. You can also see how the Atlantic is connected to the Mediterranean. The Alp mountains in eastern France and the Pyrenees in the south are natural barriers.